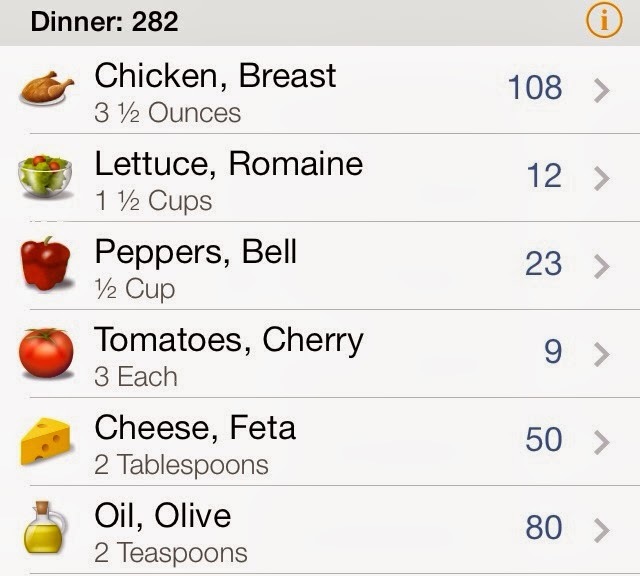 An approximation of this meal's calorie count. 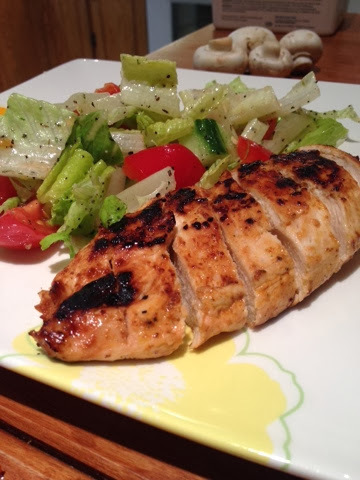 Awesome light dinner that's easy to prepare, low in calorie, and very versatile in switching up the flavours. 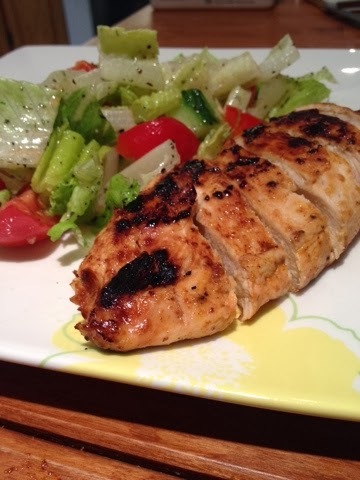 We made a lightly seasoned and marinated chicken breast with chicken spices and some light teriyaki sauce. The chicken breasts are placed in a ziplock with these ingredients and can be taken out of the fridge (within 2 days) to grill. 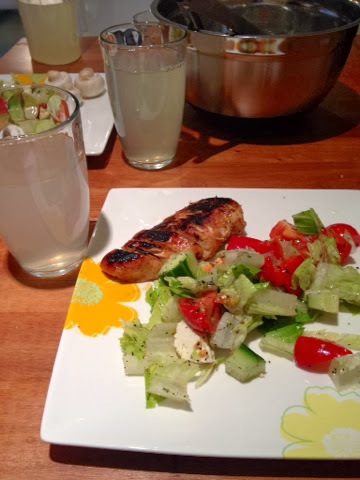 The salad is like any other house salad we prepare at home with the dressing consisting of spices, lemon juice, olive oil. The salad includes lettuce, tomatoes, cucumbers, and some feta. We have water with almost every meal but we decided to spruce it up with some natural lemon flavouring! Hope everyone has had a great 2014 so far! Can't wait so share more recipes I've made over the holidays!